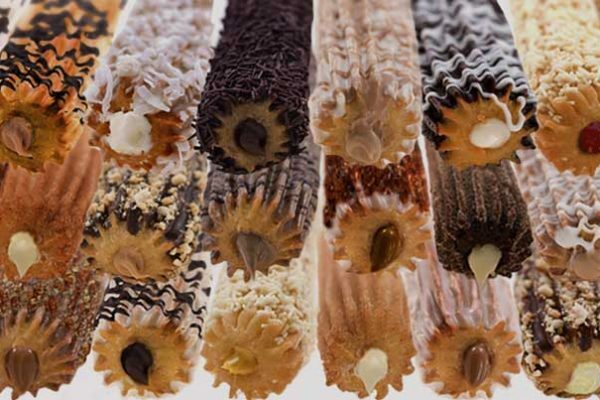 Churros Madrid – Visit the oldest churros maker family! 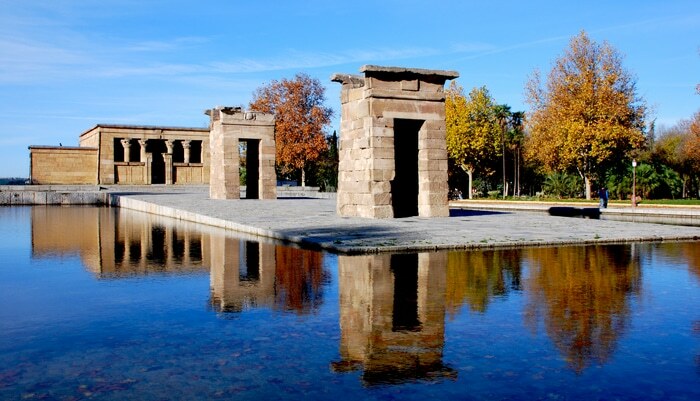 Churros Madrid – Did you know where is the oldest churros maker family? When traveling to Spain, and especially to Madrid, one of the first things you think about are famous churros with chocolate! What do we actually know about churros Madrid tradition? Where do they come from? How should you decide where to eat churros when you come to Madrid? The churrería of San Gines is one of the most important attractions in Madrid, very well known by every person that steps here, even for a day. It is the oldest establishment where they have been making churros since 1894. But, there is another treasure of Madrid that shouldn’t be missed out when you are visiting the capital, the churrería where churros are made by the oldest churros maker family in Madrid! Los Artesanos 1902 are the oldest family of “churreros” in Madrid and their churros are spiced up with the family tradition and are one of the things you must try when traveling to our capital! The story dates back to the year 1902 when Don Florencio, the great-grandfather of Don Gabi, opened the door of the first “churrería” in the street Ave María. This was where he was teaching the art of making churros to his son Don Galo, the father of Don Gabi. Once Don Galo perfected the art, he started selling churros and porras on the streets of Madrid. Slowly but surely their art of making churros was recognized and the family business was growing. Nowadays, they represent an important part of Madrilian and Spanish tradition as the oldest family of “churreros”, and the family, Don Gabi, Carmen, and their three children, Juan, Hector and Alba keep the secret family recipe safe. Los Artesanos 1902 have been using the same traditional methods of making churros through generations, and aim to never lose the tradition and warm hospitality serving delicious hot chocolate, porras and the best handmade churros Madrid. If you are coming to Madrid, don’t miss the opportunity to try this traditional Madrilian treat and enjoy in a homely ambient of Los Artesanos 1902. A secret history of churros – Portugal or Spain? Where do they come from? There are different opinions about the origin of churros. Some people believe that churros were the invention of Spanish nomadic shepherds who were living high in the mountains with no access to bakeries. These men were working hard in the mountains most of the days and occasionally became hungry for a sweet treat. 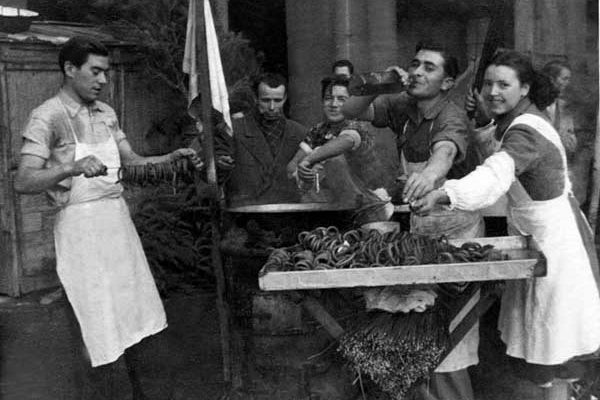 There were no bakeries there so they created churros because they were very easy to prepare in frying pans on the open fire. The name churro comes from the breed of sheep called “Navajo-Churro” what is descended from the “Churra” sheep from the Iberian Peninsula. 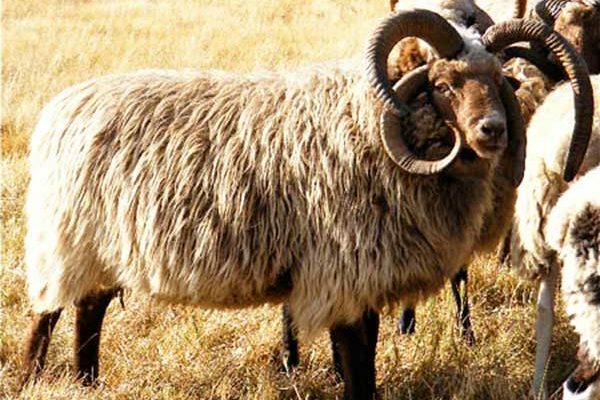 The horns of the “Churra” sheep look similar to the fried pastry, so this is where their name comes from. Another story dates back to the times when Portuguese were discovering the new world and the trading routes took them all the way to China. Portuguese sailors discovered the salty pastry in the far Northern China, where they were called “You Tiao”, fried flour devil. Maybe Chinese named it like this because they were aware this pastry wasn’t very healthy for them, but on the other hand, maybe they give this name to it because it is so tasty that it is difficult to stop eating it? 🙂 Portuguese brought the technique that Chinese were using to make this fried salty treats home and changed it a little bit to make the star shape and added sugar. Portuguese sailors discovered the salty pastry in the far Northern China, where they called it “You Tiao”, fried flour devil. Maybe Chinese named it like this because they were aware this pastry wasn’t very healthy for them, but it was so tasty that they just couldn’t stop eating it? 🙂 Portuguese brought the technique that Chinese were using to make this fried salty treats home and changed it a little bit to make the star shape and added sugar. Portuguese brought home the technique Chinese were using to make this fried salty treats and changed it a little bit to make the star shape and added sugar. Once it got to the Iberian Peninsula, it got the new form and taste, and when the Spanish shepherds discovered it, it also got a new name “Churro”. The first churros were as large as a bread stick and eaten rolled in cinnamon and sugar. The nomadic shepherds introduced it to the towns on their journeys, and quickly they became very popular. 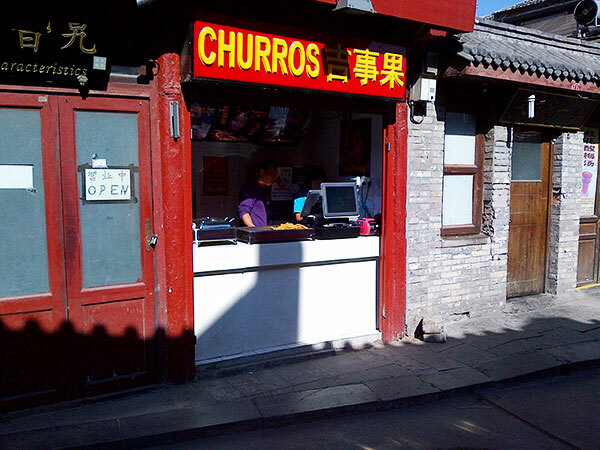 Churros have crossed the continent thanks to the Conquistadors and got all the way to Latin America. As they have been discovered in different countries, churros have passed through many changes. For example in Cuba, they like to eat churros with different fruit fillings, while countries like Brazil, Argentina, Mexico, Bolivia, Chile, and Peru fill them with white or dark chocolate or “dulce de leche” (caramel). On the European continent, back to the Iberian Peninsula, the churro evolved and changed depending on the area and eating preferences. On the north of Spain, including churros Madrid, they eat preferably a thicker version of churros, called porra, which is considered to be better for dipping. In Andalusia, the dough is thinner, which makes it more difficult to make the iconic star shape. 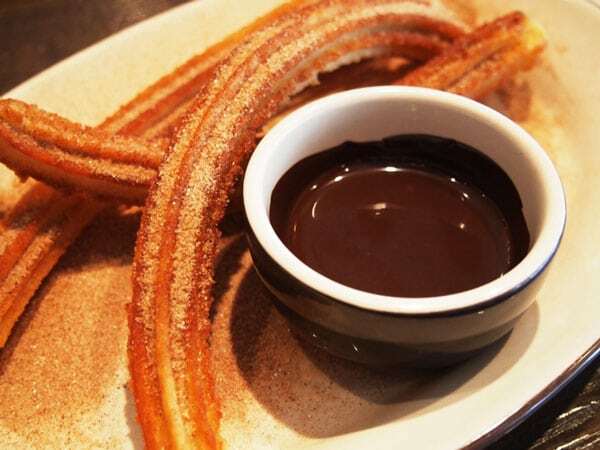 Churros Madrid – if you crave for some sweet churros with chocolate in the middle of the night, it’s not a problem! 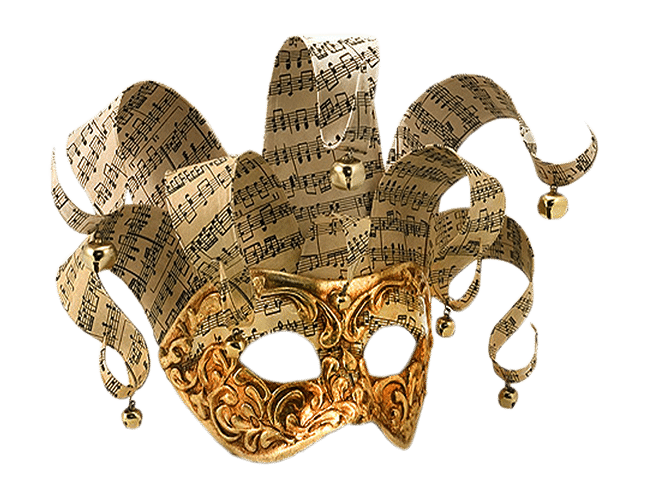 Madrid party in the full moon night - 14th of December!New Year Madrid - The New Year is coming again!